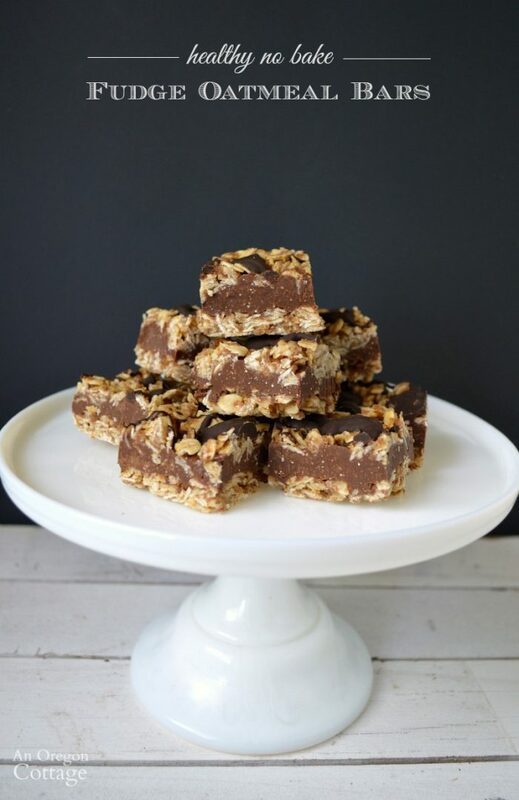 Quick, no bake fudge oatmeal bars are made healthier with added flax meal, less sugar, and nut butter for protein, making them a great option for snacking or dessert! For more quick recipe ideas, head to the Quick Healthy Recipes page. For more delicious cookie ideas, check out the Simple Cookie Recipes page. 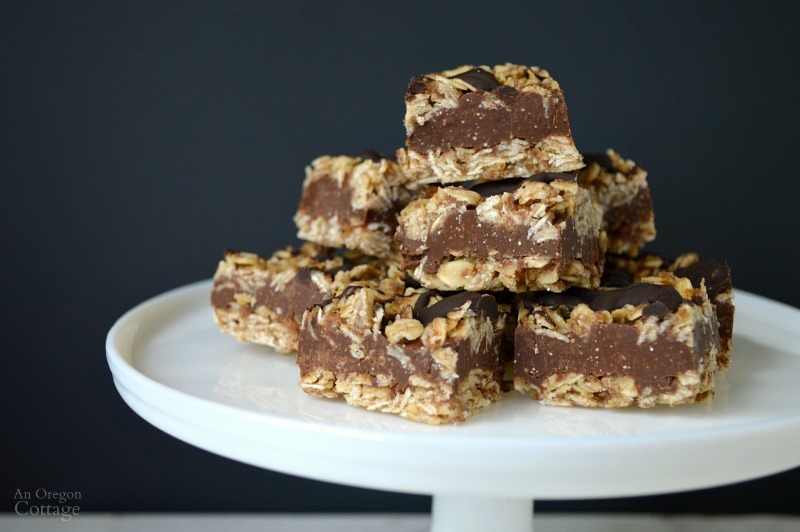 No really, I do love salads like this main-dish favorite and this refreshing orange almond version, but these healthy no bake fudge oatmeal bars need a place here. One, because I love a recipe that mimics a well-loved, less healthy version (in this case, those classic oatmeal-fudge bars made with sweetened condensed milk – not that it’s the milk that’s awful, since it’s only two ingredients and I use it here and here, but it is full of sugar…). It replaced heaps of brown sugar with just 1/3 c. of honey, adds ground flax seed for additional omega-3s, and uses a protein-packed nut butter instead of the sweetened condensed milk, leaving the sugar found in dark chocolate chips as the only additional sugar. And two, chocolate and peanut butter (or almond, cashew, or whatever you like) – hello? Just a little bit of manna to me. That combo always calls to me. And I’m also completely loving that these are super easy, don’t heat up the house when it’s warm (making them perfect for summer), and work as both a snack and a dessert. Really! I served these to friends for dessert and no one felt cheated or even realized that they were “healthy.” That’s the thing with chocolate – I’m finding more and more than when chocolate is involved, you can always use less sugar in a recipe and it still feels decadent. Okay, maybe not decadent (that may be pushing it…), but at least dessert-like. 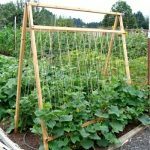 While they will last for a long time in the fridge or freezer, they do need to be stored in the fridge and not left out for more than a few hours, since they get soft. You can use butter or coconut oil, both of which are healthy fats, and your choice of nut butter. You can also use maple syrup in place of the honey if you want. Pretty flexible, right? Okay – now go make some! 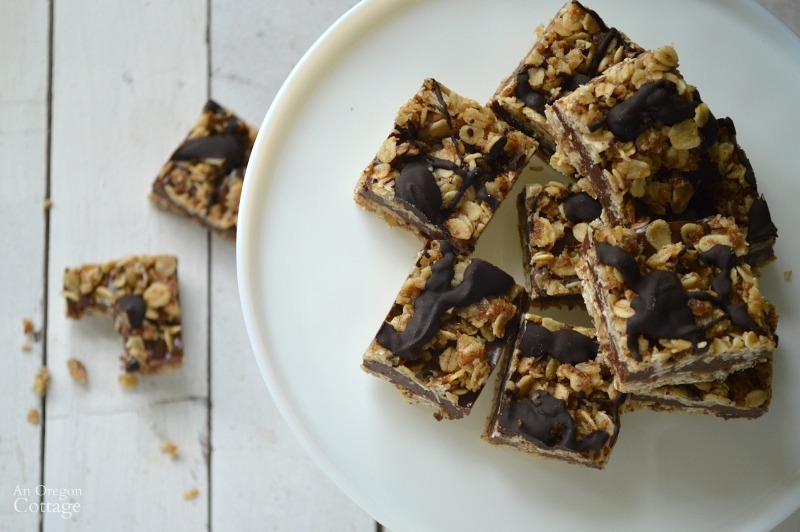 Click the arrow for the full No Bake Fudge Oatmeal Bars recipe (with print options)! I can’t tell you how many times I’ve made these over the last couple years- a dozen? more? They’re a staple now, especially when the days start to get hotter and I can’t fathom turning the oven on when in need of a chocolate fix. Thanks for this recipe- it’s amazing! These are wonderful, and never last long whenever I make them for my family. Thank you so much for sharing your recipe! I’m so glad you like them, Becky! I really am trying to learn the Gluten Free thing, The only thing I know is it is suppose to be healthier for you. I want to definitely make these! They look delicious and are healthy for you, I am in & I want my family in too. 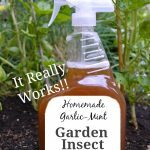 Thanks for sharing this info & recipe!! Common – very common misconception that Coconut oil and butter are bad for the heart. Please read “Nourishing Traditions”, and I could refer you to much more, but do some research with an open mind, and after hearing both sides, let your own good judgement help you decide. I’d suggest vegetable shortening; it has about half the saturated fat of butter, and zero cholesterol. The relationship between dietary fat and health is really complicated (like everything in the human body… for example, too much sodium is bad, but too little is bad as well – ditto for potassium, calcium, and magnesium – our bodies run on these four elements). Whether foods high in saturated fats and/or cholesterol are bad for any given person depends 1) on their genetics, and 2) on their current state of health; the latter is dependent somewhat on diet. Someone eating a low-carb diet with healthy vegetable fats (avocado, olive) and animal fats (from grass-fed or free-range animals) will be able to tolerate a little butter in their diet a lot better than someone eating a traditional American diet of corn, wheat, processed foods, and factory-farmed / processed meats. I used margarine (without partially hydrogenated oils a.k.a. trans fats) and it worked well. Margarine has less saturated fat than butter and coconut oil, if that’s what you’re concerned about. Have you done the coconut oil/maple syrup combo? We have a favorite teacher at school who’s vegan and it’s so hard to come up with treat ideas for her that actually taste good. I have made what is almost this exact recipe (found from a different website though so the measurements are slightly different and no flax), but I always use a coconut oil and maple syrup combo and they are delicious. I have made two batches in the last month or so since I found the recipe.